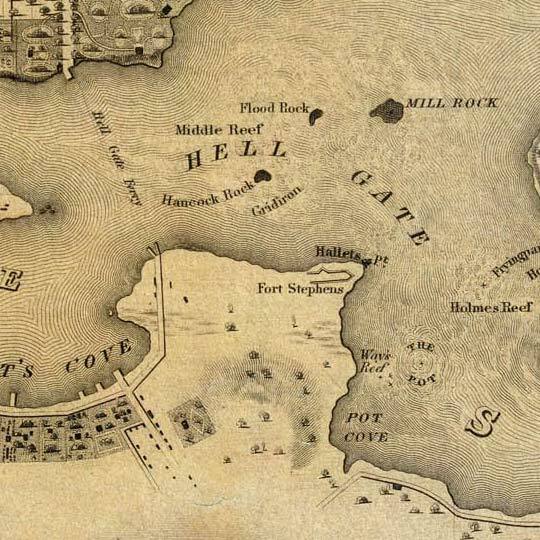 Most striking to anyone familiar with modern-day Manhattan [gmap] (past the vast stretches of undeveloped land depicted in this 1830s envisioning of the island) might be the topography. Before y'all had one of the densest, greatest cities on earth, you had a verdant, topologically prominent island of bluffs and trees. Map is by Longmeadow, Mass' most famous cartographer J.H. Colton.